Looking for stunning mountain views from you private balcony, excellent food and unconventional luxury? Hôtel des 3 Vallées is the place for you! A ski-in, ski-out paradise located at the stunning slopes of Courchevel. Aman Le Mélézin is here to make your life less complicated. One of Courchevel's best located ski in & ski out properties is le K2 Altitude. The hotel has been recently renovated, renamed and reopened. Le K2 Altitude is an icon in Courchevel's already extravagant hotel scene. A ski in ski out hotel in the mondaine heart of Courchevel, the rooms are spacious and luxurious. La Sivoliere is the perfect combination of easy slope access, modern decoration, authentic design and top class luxury and comfort. A little piece of gastronomic heaven in Courchevel, this is high altitude luxury and superb service under one roof. 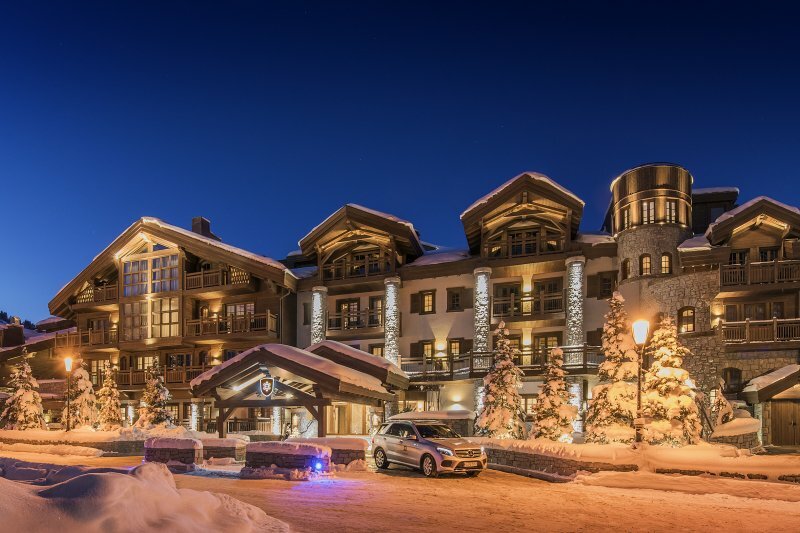 A mythical palace in the heart of the Courchevel skiing area, overlooking Courchevel village with direct slope access. The former palace comes with royal treatment. Your home away from home in the snow. Six Senses Courchevel is the perfect hideaway for those in search of hotel services combined with the intimacy of your home and oh yes...it comes with a Six Senses Spa! The area of Courchevel 1850 offers 607 kilometers of well prepped slopes to explore.